Budget Computers are Hamilton’s local technology mobile repair experts. We specialise in a range of phone makes and models including LG, Sony & Nokia mobiles. Our most commonly repaired model of phone is made by Samsung. Budget computers offer the most comprehensive Samsung phone repair services Hamilton has to offer. 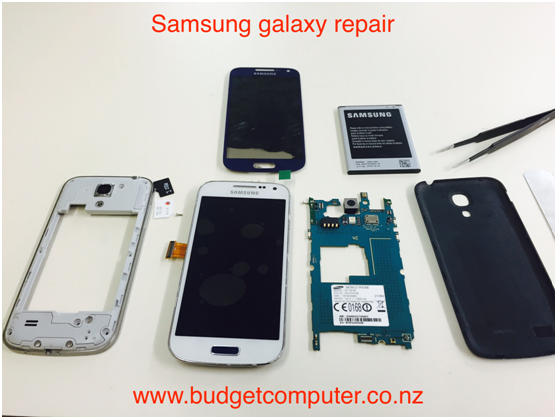 Whether your Samsung has a broken screen, water damage or a broken changing port, the team at Budget Computers have the skills and experience to fix your phone quickly and efficiently. We repair a range of Samsung models including the Samsung Galaxy S2, S3, S4, S5, S6, S7 as well as the Galaxy Touch and other android phones. For the best quality Samsung repair Hamilton has to offer, talk to the team at Budget Computers. How to Know If Your MacBook Requires Repairs?